This recipe is aimed at the cook, rather than the baker. I can’t tell you how many times I’ve talked to people who profess an intense dislike for baking because of the precision required (AKA measuring). They prefer to add a little of this and a little of that and see how it turns out. And I’m sure it always turns out wonderfully! But when you bake, that technique is rather looked down upon. So here is a shout-out to all of you “just throw a little in there” cooks out there! This recipe developed by just throwing a little of everything into brownie batter…with excellent results. 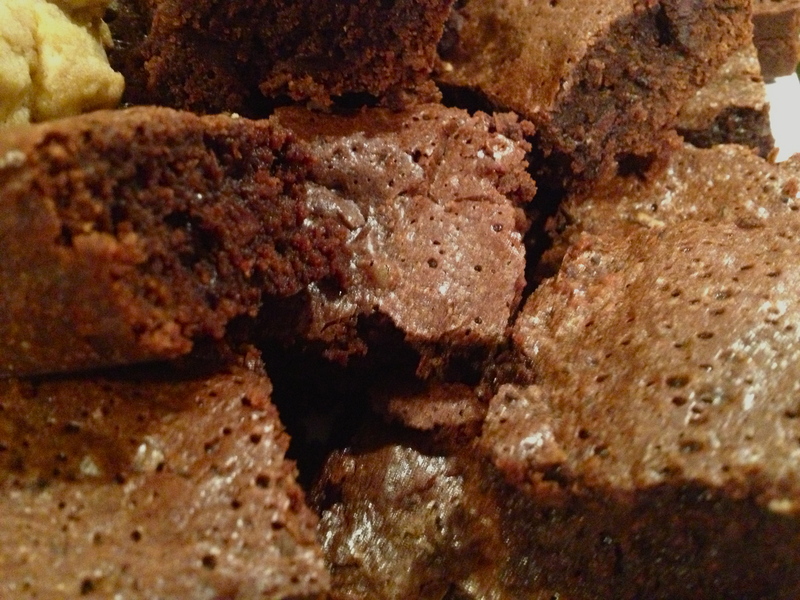 These brownies definitely have a little kick to them, so beware! Not too much to turn off those milder taste palates, mind you, but enough to keep things interesting. Preheat the oven to 350F. Coat a 9X13 baking dish with butter and flour. 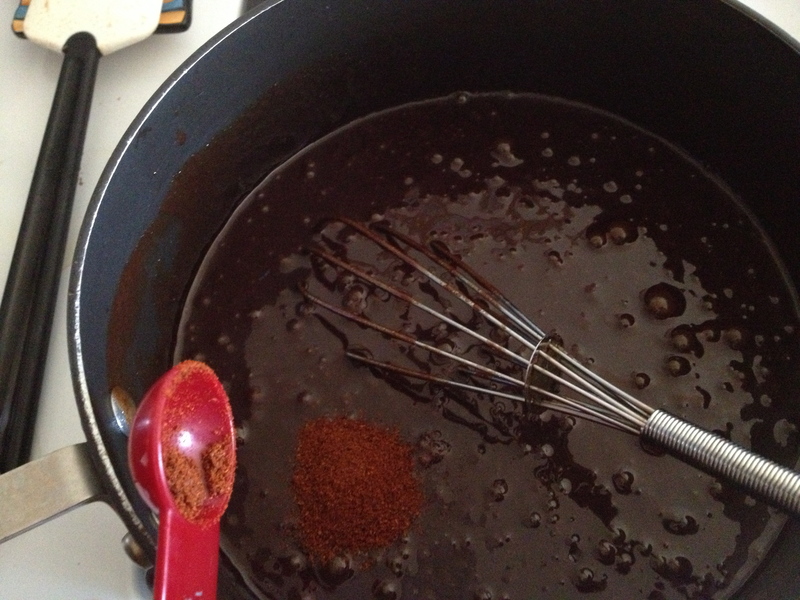 Melt the butter in a small saucepan along with the chocolate. Stir continuously until melted and remove from the burner immediately. 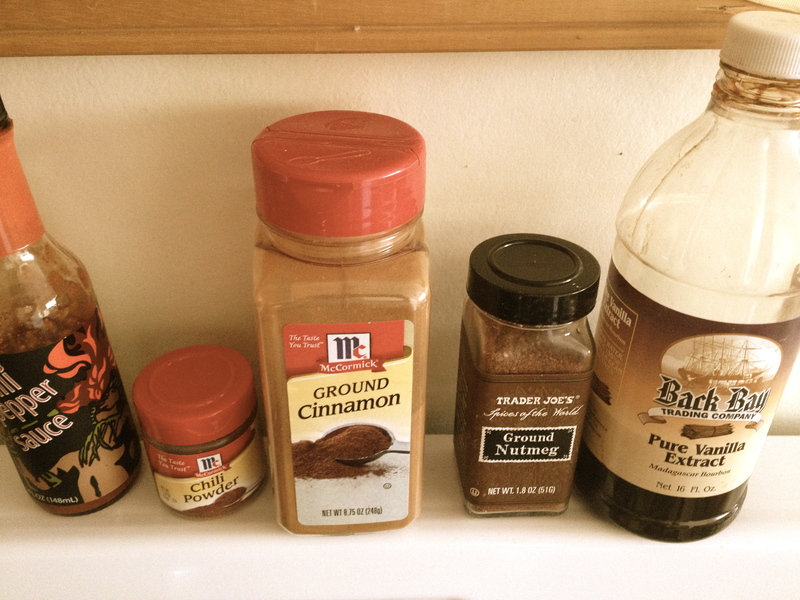 Stir in the sugar, espresso, eggs and spices, whisking to combine. 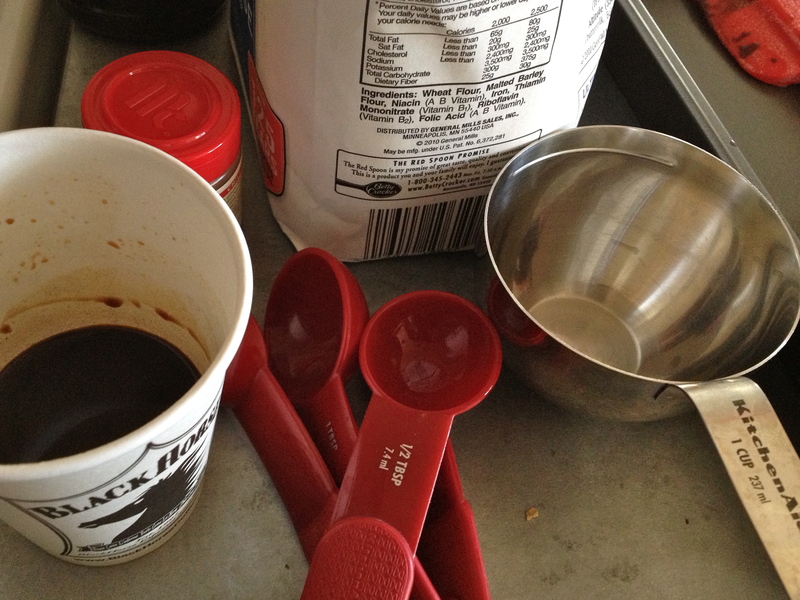 Note: at this point the batter will not taste too spicy, but it will kick in once you bake the brownies. Gently stir in the flour. Pour batter into the prepared baking dish. Bake for about 30 minutes, or until a toothpick inserted comes out clean (or clean-ish, depending on how you like your brownies).